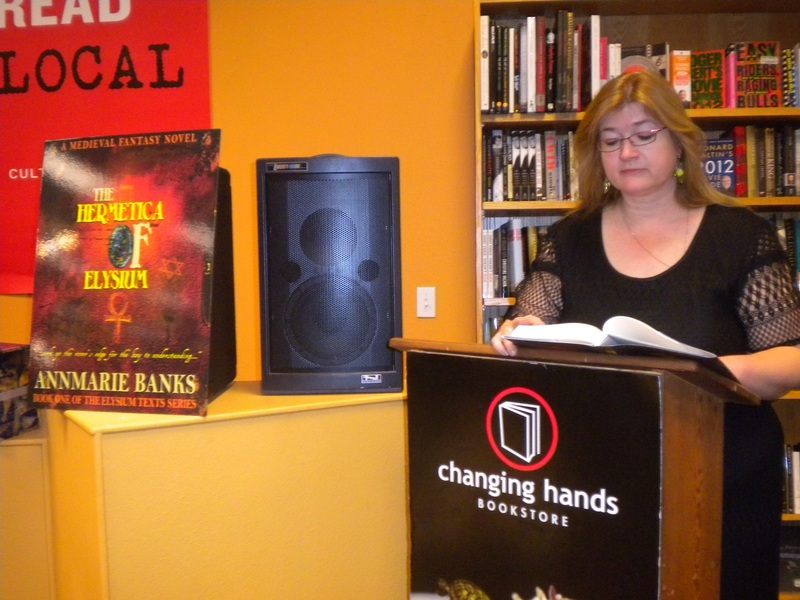 The book launch for The Hermetica of Elysium was held on December 1oth at Changing Hands Bookstore in Tempe, Arizona. 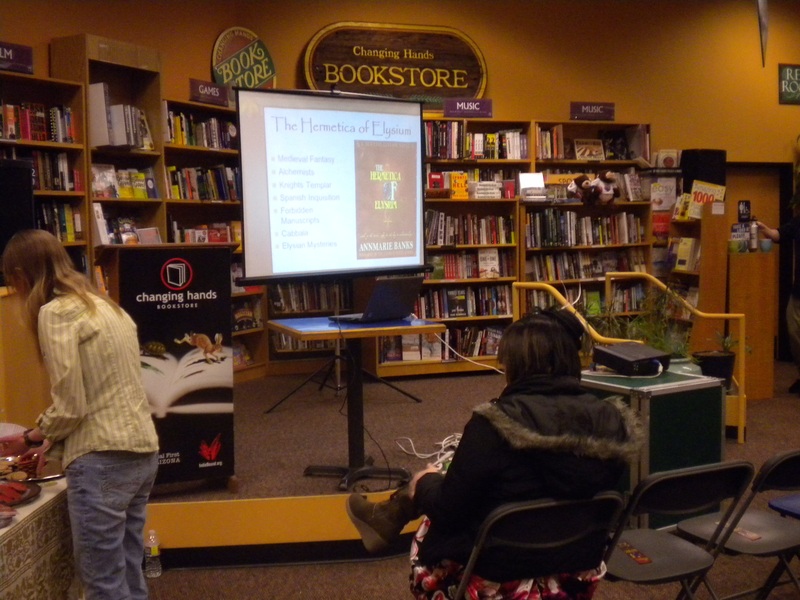 I had some great helpers for the set up–thank you! 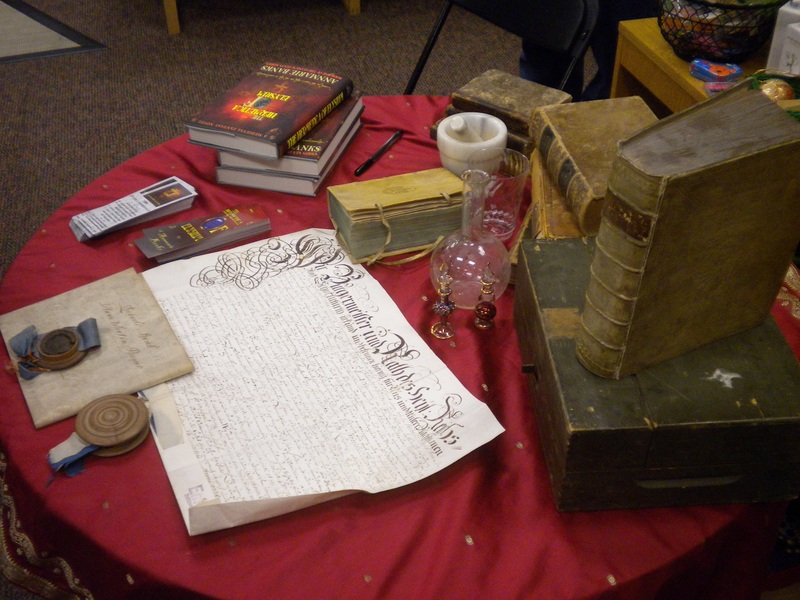 Set-up included a display table featuring a 16th century breviary from the library of bibliophile Johann Georg Werdenstein, the canon of Augsburg (1542 – 1608) that had been saved from the flames in 1945. 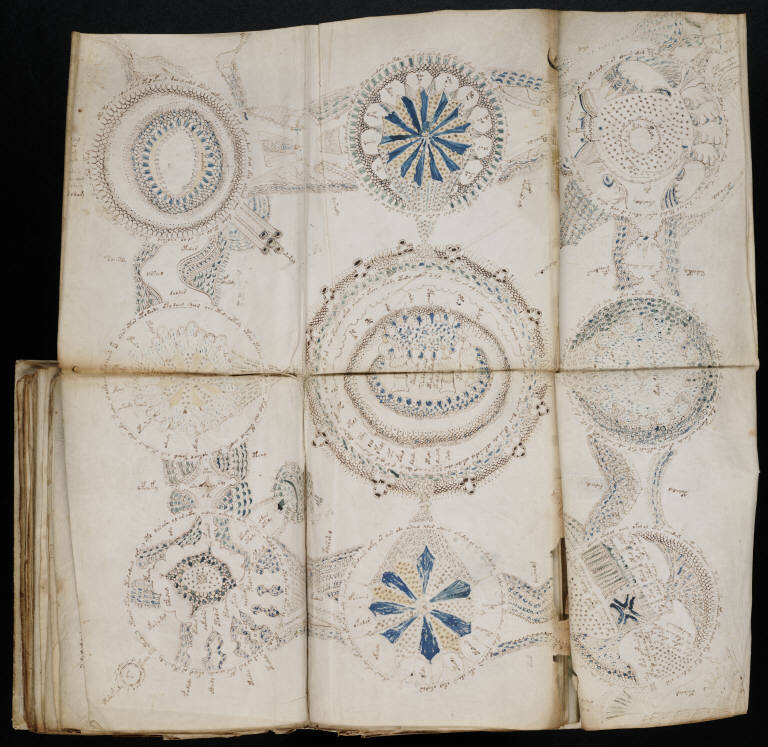 Two 18th century manuscripts on vellum and paper were on display as well. 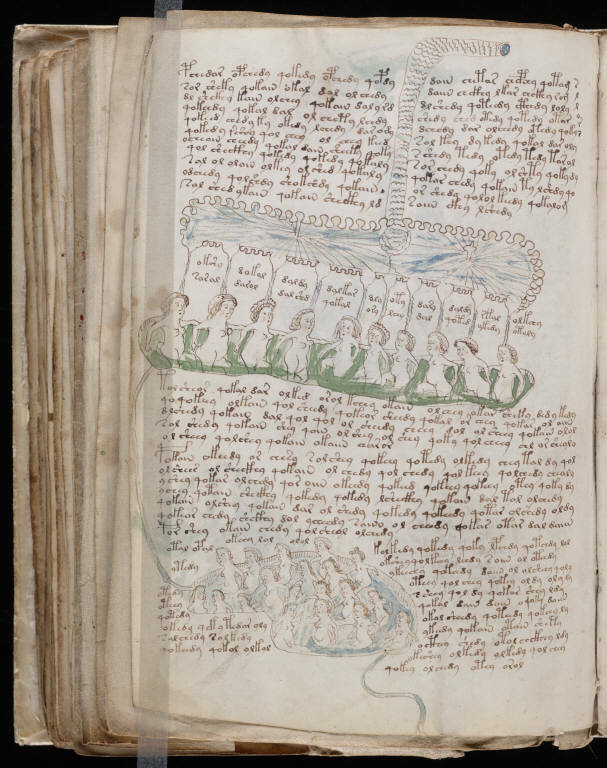 I gave a PowerPoint presentation describing the historical background for the novel and showing images of the Voynich manuscript which was the “real-life” inspiration for the Hermetica in the story. 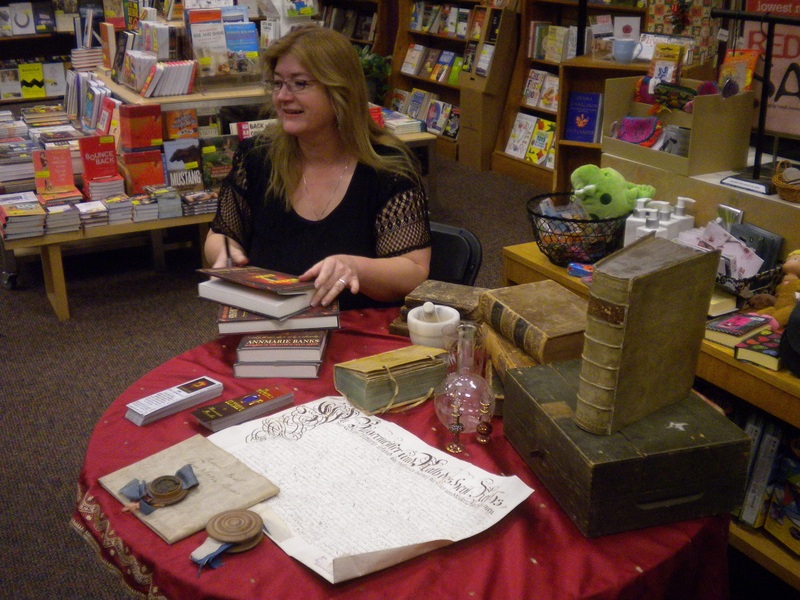 I answered a few questions about the time period and the acquisition of mysterious manuscripts before giving a reading from Chapter Two when Nadira is snatched from Sofir’s house and carried away on a war charger. 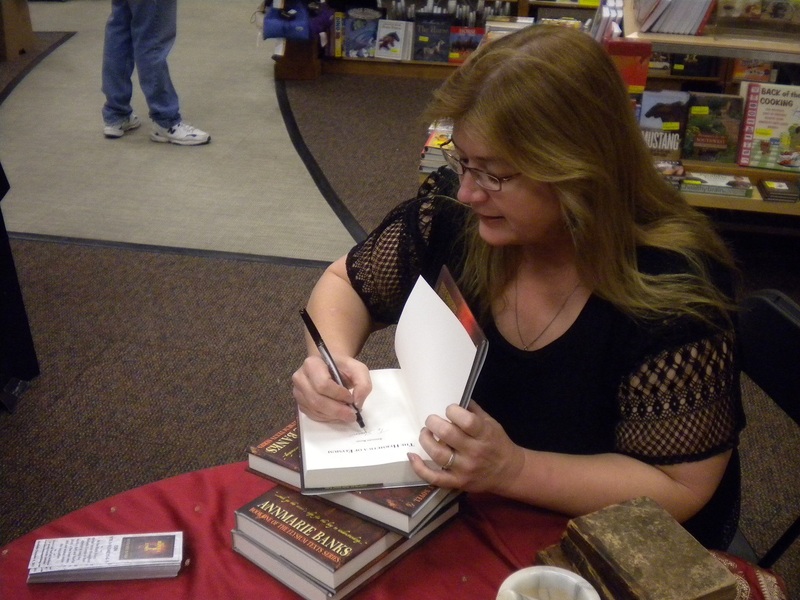 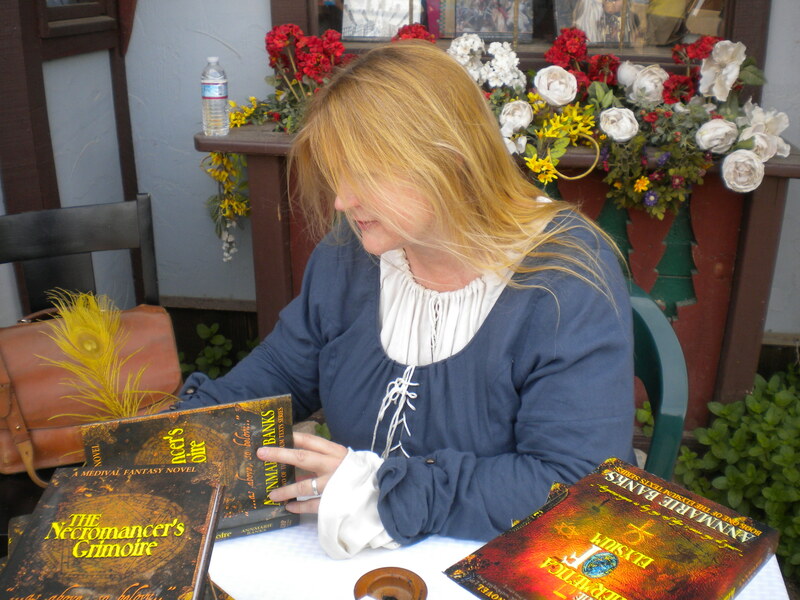 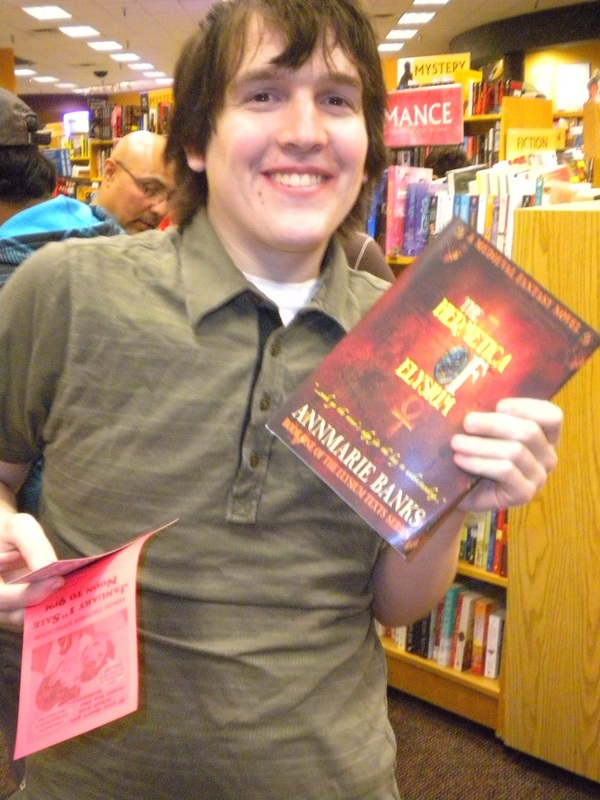 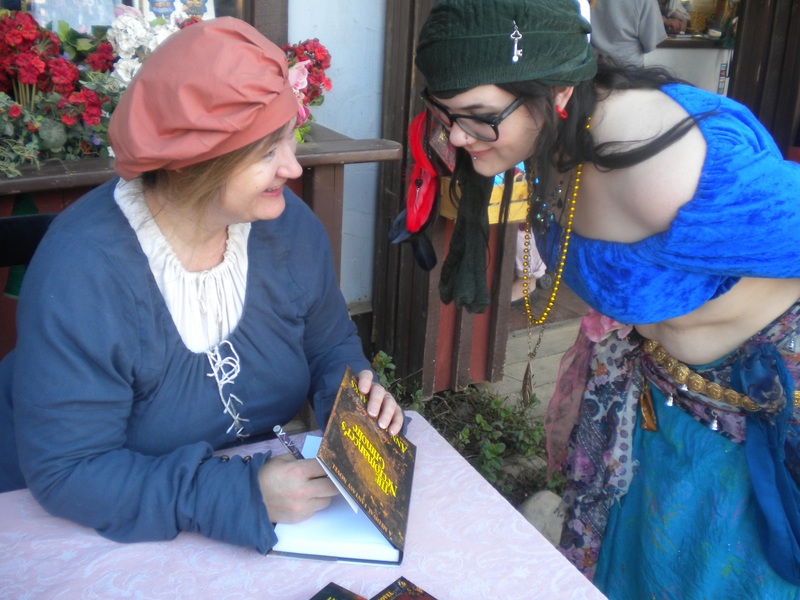 Then I spent some time chatting with the bookstore customers and signing copies.